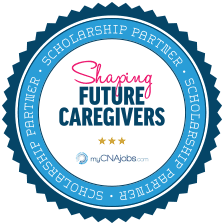 Health Training Services partners with myCNAjobs to provide CNA scholarships via the myCNAjobs Scholarship Fund each year. CNA class enrollment takes place throughout the year and nursing scholarship applicants are reviewed each week. Caregiver - Build Your Schedule & Earn More! Hiring to Start Immediately! !